First warehouse. The "Duker" building goggle straps. Norm Fraijo in the background counting grips. Jim's first two employees. Also, 11 Marconi came after 3 Wrigley. First Oakley trade show booth. Wow! I know this will be greatly appreciated by many here. I only saw a grainy picture of the trade show booth when the concept studio pieces were released. If you don't mind, I'd like to move the photos up to the head post so they're permanently at the top. Can't get over those crates of grips. Awesome post. Those director chairs are freakin awesome! Dann, Feel free to place them as you wish. Dann, this is the Oakley we love and miss! Here's another. The customer service and warranty guys. Roughly 1989, 10 Holland bldg. Scott, when did you start at Oakley? Who are the two women with you and Mike? Renee (Connors) Maldonado and Stephanie (Ward) McIlvain. Pat Mac's wife...one big happy O family! Wow! Those are some epic pics... and yes, these are pictures of the Oakley we love and miss! Fantastic pictures.... Scott, I may have a couple questions about some older items I have. Yes, Pat Macs wife. There are/were quite a few interoffice relationships. Keep in mind that we were all very close and spent many hours working and playing together. 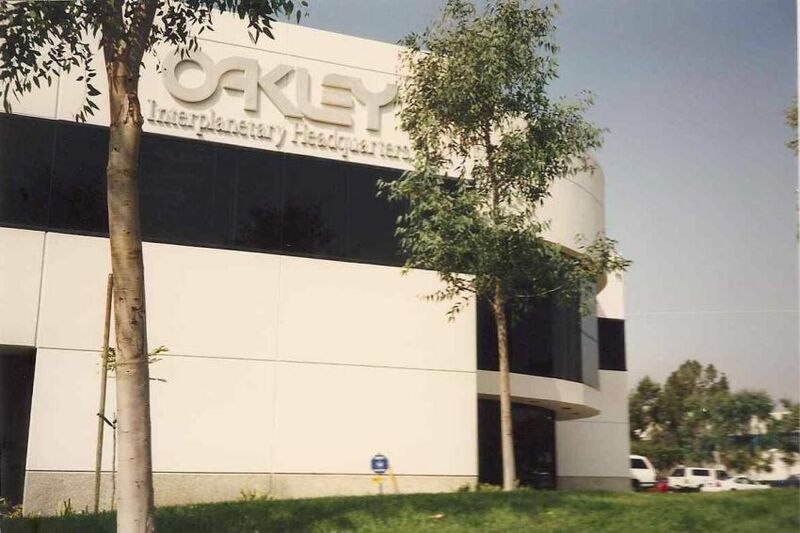 I married an Oakley employee as well. My wife, Kris, was Jim's assistant and later the ad director. Great stuff! Thank you Scott!